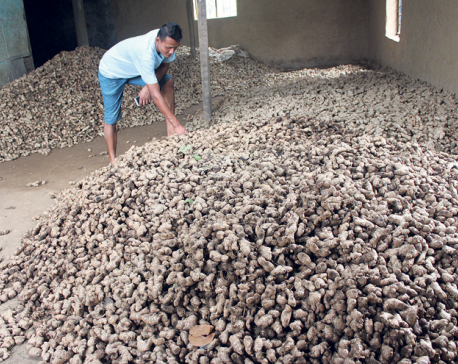 BUTWAL, July 14: Minister for Agriculture, Land and Cooperatives Chakrapani Khanal has said that the government is making preparations to lift ban on the plotting of land in the country. 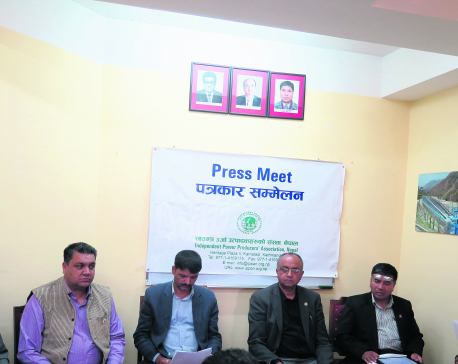 Speaking at a land ownership certificate distribution program organized by Bhirahawa-based survey office and Tilottama Municipality today, Minister Khanal said that preparations are underway to lift ban on the land plotting saying that it is taking place in practice despite having policy to restrict it. Arguing that putting restrictions on the plotting of arable land without in-depth study and appropriate policy will only create discrepancies and divisions among the family members, Khanal said the government will resolve the issue related to land plotting within few months by introducing a new land policy. “The land plotting did not cease despite having policy to put ban on it. Therefore, we are preparing to bring an appropriate land management policy to sort out this issue. This problem will be resolved within a month,” said Khanal. Khanal further said that the government will also implement the land utilization policy through the local units to stop the misuse of arable land. Provincial Lawmaker Dadhiram Neupane urged the government to curb the corruption underway in various inland revenue offices and survey offices in the name of land plotting. Director General of Survey Department Ganesh Prasad Bhatta said that the department is very serious on this issue and directed the subordinate staffers to maintain integrity, impartiality and professionalism in their work staying away from undue influences. Similarly, Tilottama Municipality Mayor Basudev Ghimire underscored the need to implement the land utilization policy saying that the municipality is actively working on the scientific management of the land. 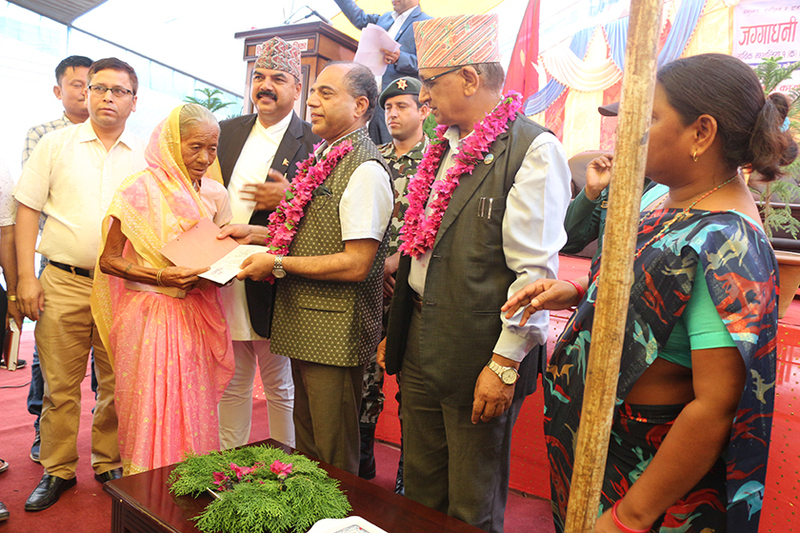 “A total of 112 people of Tilottama Municipality received land ownership certificates on Saturday,” said Deputy Mayor Jageshwar Devi Chaudhary.